I have been on a several years long journey of exploration into how to make delicious stir fry recipes at home. The key to the best ever stir fry is in the stir fry sauce. Don’t get me wrong, I love takeout (like everyone else), but it bugged me to no end that I could not figure out how to make my own stir fry recipes as equally delicious as the sauce that makes takeout stir fry sauce so addictive. I had all but given up when a year ago at Christmas, a family member made us authentic stir fry and I was OBSESSED. I ordered myself a rice cooker (<— best life decision ever, I use this SO much) and got to work testing recipes to see what worked for my tastebuds. This stir fry sauce recipe was born out of years of searching for something delicious. I had tried endless store bought teriyaki sauces and stir fry sauces, none of which ever tasted good enough. Every time I would be excited to find another one to try, only to wish I had just ordered takeout instead. Store bought sauces were always missing that extra punch of flavor. I knew there had to be a way to make a simple and easy stir fry sauce recipe that 1) wasn’t time consuming and 2) didn’t require any crazy out there ingredients. I wanted a recipe that was foolproof, and easy enough to make frequently. Here is the recipe that I finally came up with, after much trial and error. THAT IS IT. Life. Freaking. Changing. 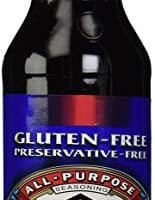 I have one recommendation, and that is to always use this in conjunction with fresh garlic and fresh ginger. These are not a part of the sauce, but they are part of the stir fry you will make. I have found this to be the best way to bring out all of those flavors and I highly recommend doing this. If you skip this step and tell me that the recipe is bland, it is because you did not add the garlic and ginger! Otherwise, the possibilities are endless! Any veggie or protein, you name it. Just add what sounds good, throw in fresh ginger and garlic, then pour in this sauce and you’re golden. 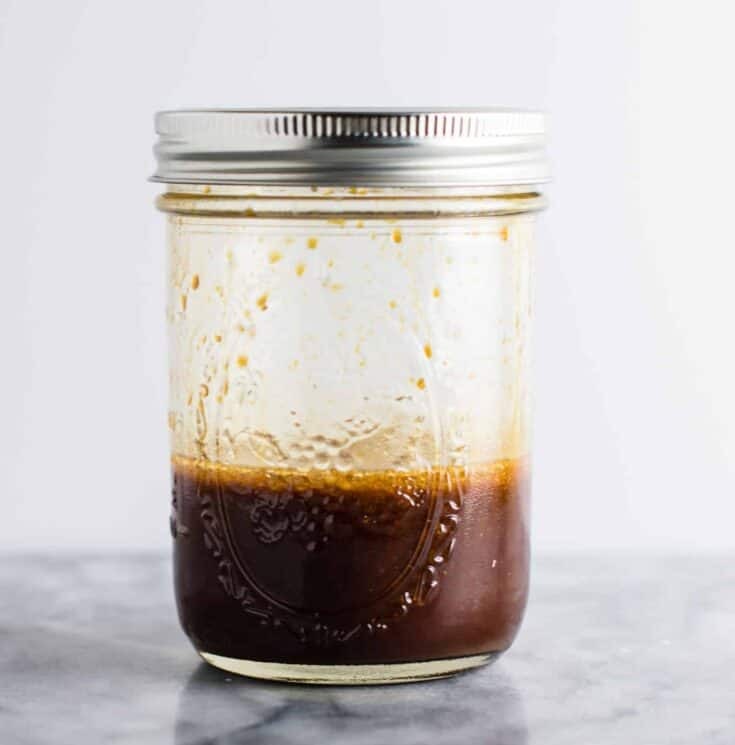 I am a vegetarian, but whether you are a meat eater, a vegan, or a vegetarian, this stir fry sauce is adaptable to fit your needs! Cornstarch acts as an easy thickener in this stir fry sauce recipe. 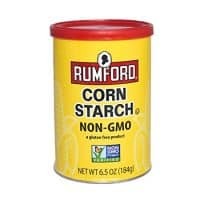 Cornstarch is a great way to thicken sauces when you want a quick recipe. 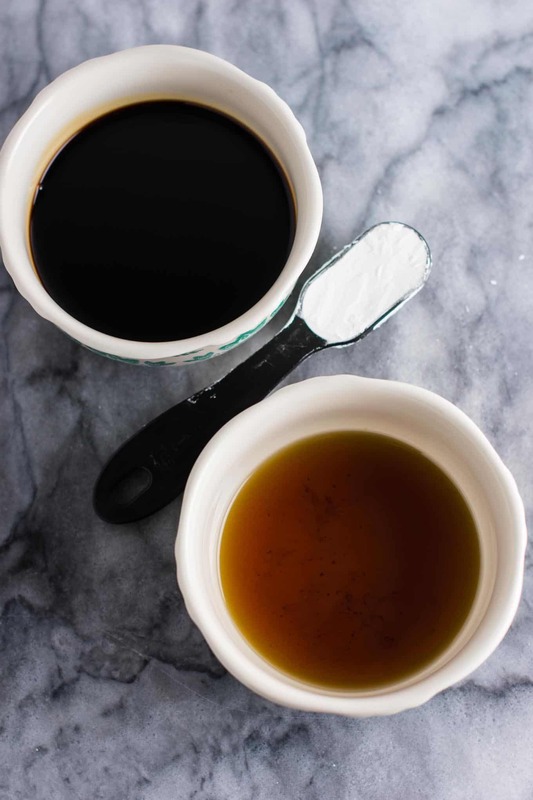 There is no need to cook out a raw flour flavor like you would when cooking with a roux. I have tested this easy stir fry sauce time and time again and it is always incredibly delicious. The best part is that you can make it in 60 seconds! 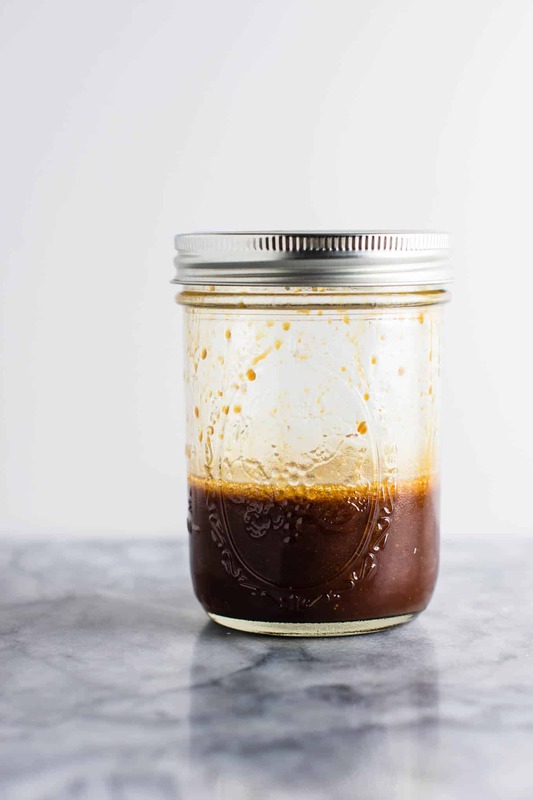 Just add your soy sauce, sesame oil, and cornstarch to a mason jar and shake to combine. I’m a rather impatient cook, and the easier the better when I am trying to get dinner on the table in a hurry! I love that I can make this sauce so very quickly and throw it in the skillet. I have made several homemade stir fry sauce recipes and now I only use this one. You just can’t beat adding 3 ingredients to a jar, shaking it, and pouring it in. I mean, it’s almost TOO easy. There are so many choices that I wrote a post just dedicated to this topic! You can read it here: What are the best vegetables to put in stir fry? Here are some tried and true favorites using this stir fry sauce. Don’t forget to tag me on instagram @buildyourbite and hashtag #buildyourbite so I can see your recipe creations! Easy and delicious 3 ingredient homemade stir fry sauce recipe. You have to try this! 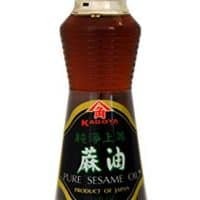 Be sure to use this stir fry sauce with fresh minced garlic and fresh minced ginger in your stir fry (cooked with your vegetables/protein), as stated in the post. This is what will give it the "wow" factor. Can you keep this in the fridge? I haven’t personally, but I think you could leave it in the fridge and add it once you’re cooking the stir fry. I usually just throw it together right before it goes in the pan. This was so good! My wife and I make it all the time now. THANK YOU! SO EXCITED TO TRY THIS TONIGHT! THANK YOU! so easy and so good! What are the amounts for this stir fry sauce? See the recipe card at the bottom of the post for the amounts. The ingredients and amounts are at the bottom of the post in a printable recipe card. Enjoy!